More limited edition collector fragrance bottles, with the usual disclaimers: in most of these cases, the juice is unchanged, just the bottle is “special” (or not, as the case may be), and some of these may not be available in the US. Today's post includes collector bottles from Carven, Guerlain and Acqua di Parma; new scented jewelry from By Kilian; plus a new concentration of Missoni. From Carven, the Illustrated Edition of Carven L'Eau Intense, in 100 ml Eau de Toilette. £70 at House of Fraser in the UK. From Guerlain, the Colour Collection Flacon Quadrilobé, featuring jewel-colored bottles of L’Heure de Nuit, Oriental Brûlant, Santal Royal (shown), Spiritueuse Double Vanille and L’Eau de Parfum du 68. €650 each at Guerlain. From Acqua di Parma, the Colonia Edizione Centenario: "...an elegant interpretation designed for Acqua di Parma by Damiani, the prestigious Italian luxury jewelry brand. The maison has designed and produced a stunning sterling silver 925‰ piece which fully encases the unmistakable Art Déco Colonia bottle." 100 numbered bottles were made, $1,105, due to launch in August. From By Kilian, the Moonlight scented jewelry collection: "The Moonlight collection has been designed to give a feeling of lightness and elegance. To echo the April launch of our new scent called Moonlight In Heaven, each piece of jewelry holds a hand cut natural mother-of-pearl stone. The Moonlight collection is an invitation to heavenly horizons." 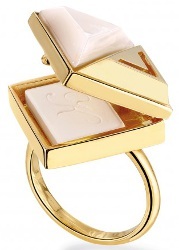 Shown is the ring, in 14k gold or white rhodium plated, with white Mother-of-Pearl hand-cut stone, can be scented with any Kilian fragrance. $225. The collection also features earrings (2 designs), necklaces (2 designs), a cuff bracelet and cufflinks. At By Kilian. 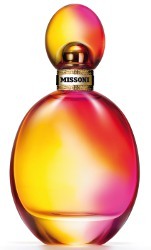 From Missoni, a new Eau de Toilette concentration of their 2015 signature scent, with blood orange, pink pepper, Nashi pear, water lilies, freesia, peony, Rosyfolia, heliotrope, cedar and Georgywood. By Kilian…. do I get to quibble that mother-of-pearl isn’t a stone, and is cheap as chips? The colors of that Missoni bottle look very fun. That Guerlain bottle looks absolutely gorgeous. But, ZOMG that price!!! Not even in my dreams! The L’Heure de Nuit is in a sapphire blue, it is gorgeous too. But yeah. All of them are amazing looking. I love the orange one, too. Oh, Guerlain. Why do you do this? 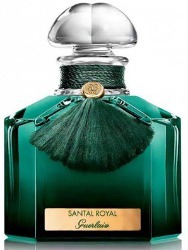 Gorgeous expensive bottle does not make up for the contents being mediocre B-team scents. Now, if there was a chartreuse bottle of Chamade, or deep scarlet full of Nahema, or deep russet brown with Mitsouko, I’d sigh at the wonderfulness of it, but this? Meh. It’s interesting the selection…. I guess they can’t do the classics over & over. 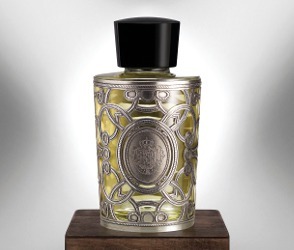 That .925 sterling silver Acqua di Parma bottle seems like a bargain at just barely over $1,000. I was excited upon seeing that SDV was going to be available in the special bottle until I saw the price. Ouch! Yes — same here on the SDV! I think the new Carven bottles are genius! I want one, but can’t even recall having smelled any Carven fragrances.